I fell in love with his music and I asked him to be a part of the Amused Now Featured Artist Series. With men and women like Mariah Carey, Ginuwine, Sisqó, Celine Dion and Deborah Cox influencing his music, it’s no wonder that Damiacci is such a powerful singer. Not only is Damiacci a fantastic singer, he’s an actor and promoter of other artists (just like us). Damiacci mainly plays locally, near his home in Charlotte, NC. He recently was asked to perform in Winston-Salem, NC. He dreams of touring both nationally and internationally too. Damiacci uses the internet quite extensively to promote himself. 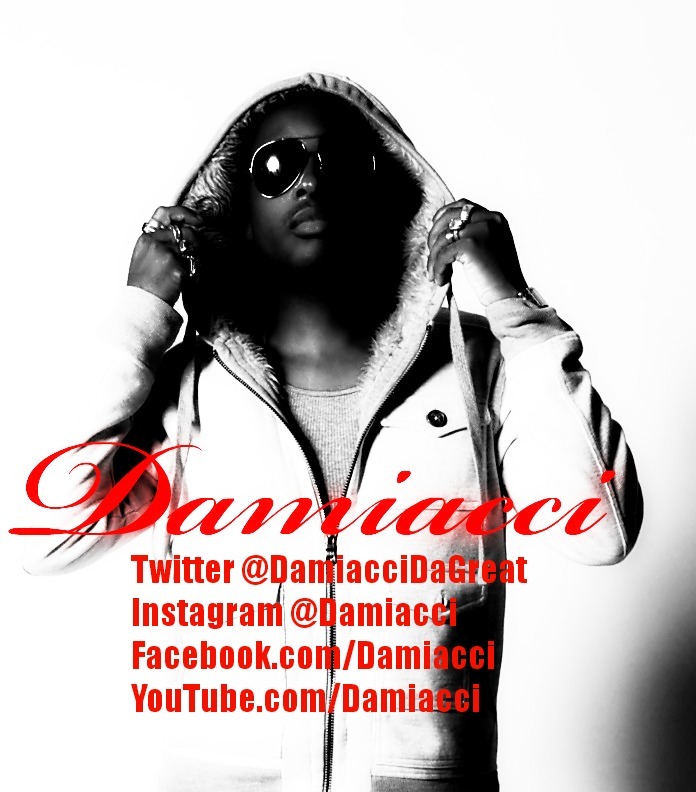 He has a website for Damiacci Management, a Facebook page, Instagram account, YouTube channel and he tweets as @DamiacciDaGreat. Damiacci advises getting fliers made. Perform at local shows and open mikes. After a perfect performance, give out fliers and business cards. “Tell people what you do.” Get on the radio. It’s expensive, but there are alternate options, like the Nikki Rich Show and several underground radio shows. Damiacci is currently working on a project called Love in the Dark, a set of five songs and he hopes to complete it soon. He explains that being an independent artist is expensive. He’s getting ready to produce a full album called Me and My Foolishness. Lately, Damiacci has been performing at a lot of shows. He’s working on his showmanship and dance moves. He’s getting gigs outside Charlotte. Damiacci is super-excited, because he’s been asked to perform at the grand opening of a new store by the manager of the large retail chain where he works. We’re crossing our fingers that the media broadcasts part of his performance! Damiacci has another interesting project called Build a Nation magazine that promotes entertainers. He started the project in August 2012 to support the independent movement. 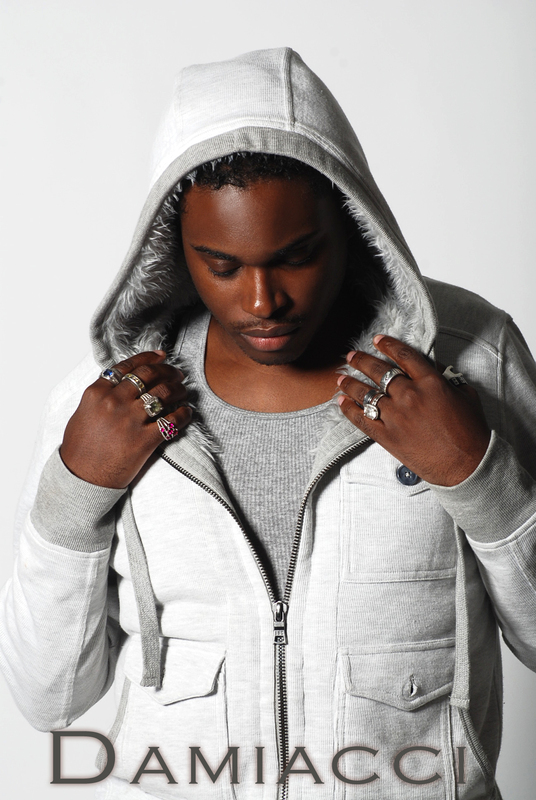 He wants to help independent artists become stars, because he’s an independent artist and he needs help with promotion. His magazine helps people get exposure through interviews, photo shoots and events. Eventually, Damiacci wants to take the magazine from the virtual to the physical. I see a lot of synergy between Build a Nation and Amused Now. I’m sure Damiacci and I will be working together in the near future!